When we think alternative energy, wind and solar come to mind as very eco-friendly. While wind energy has become a growing source of energy, many detractors argue that: wind turbines are dangerous for local avian life and that wind turbines are a form of "visual pollution". Today, many scientists and designers are finding ways to combat these flaws so that wind energy can truly be eco-friendly. The death of avian life is perhaps one of the most common arguments against wind farms. The idea that wind turbines kill birds started originally from the large rate of bird deaths, around 4,700 annually, at the wind farm in Altamont, CA [Source: USA Today]. There were two factors that contributed in such a high death toll: the wind farms spans an international migratory bird route and the turbine technology is pre-dated. 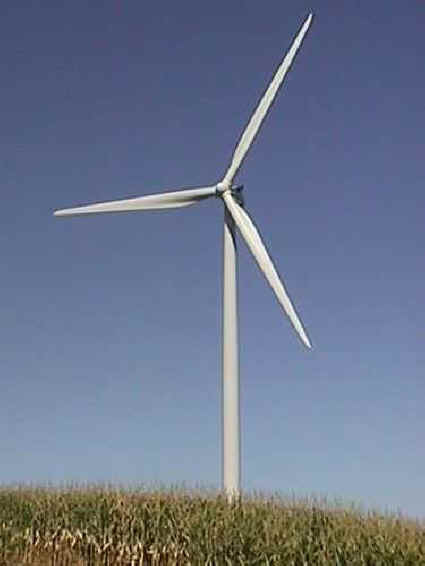 The turbines in Altamont were created over twenty years ago and features small blades with small surface areas. These blades have to turn rapidly to overcome the magnetic force of the dynamos, which generate electricity. The Altamont situation, however, is far from norm these days and in fact, the average recorded bird death by wind turbine is about 2.19 per year [Source: AWEA]. New technology has created wind turbines that use larger blades and move at much slower speeds, which allows birds to avoid the blades altogether. And of course, the location of the turbines is also important. With the help of ornithologists, companies building wind turbines can make sure to avoid migratory routes or nesting areas. In fact, there are more bird deaths caused by birds flying into windows than killed by wind turbines these days (about 98 million annually [Source: Green Energy Ohio]. Of course, even without the bird deaths, one of the major issues many take with wind energy is their appearance. Tall, unwieldy and ugly, many communities simply find the turbines unseemly and would rather not have them built. While the windfarms in Cape Cod were finally built, there was a huge struggle between environmentalists and Cape Cod residents over the creation of Cape Wind. Denizens of North Carolina have gone a step further and want to ban any wind farms built on the Appalachian Mountain that are over 1,000 feet because they are "too ugly". While the majesty and beauty of the mountains are nothing to scoff at, this ban would effectively make 2/3 of North Carolina closed to wind energy [Source: Treehugger]. There is a solution for both problems. 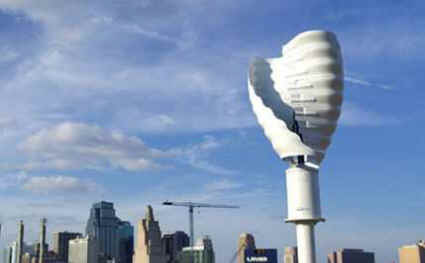 The Helix Wind Savonious 2.0, main offices located in San Deigo, is a "2kW rated turbine that can be tower-mounted between 14 and 35 feet or roof mounted just 2 feet above roof line. The rotor measures 6ft by 4ft (1.8m by 1.2m) and utilizes long helical blade scoops to maximize energy performance in turbulent, gusty or multi-directional wind conditions" [Source: Inhabit]. Not only is this new wind turbine much smaller than traditional ones, it also moves at a much slower speed, so both birds and bats recognize the rotor as a solid object. And compared to other wind turbines, the Helix is also operates at less than 5 decibels above background noise [Source: Helix Wind]. These turbines can also be used for various uses from home to industrial. As we advance our technology, we also advance our alternative energy sources. The major complaints of ten years ago are a thing of the past as scientists and designers find out new ways to make green energy safer, prettier and more efficient.